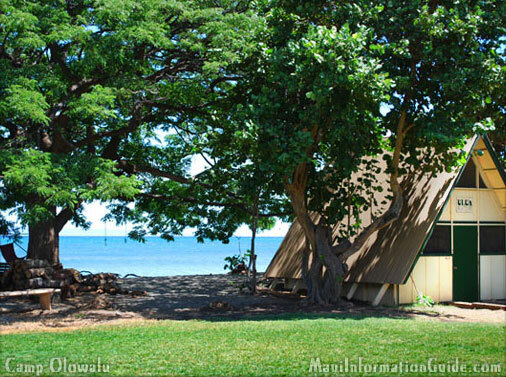 Camp Olowalu is set up to accommodate everyone from solo tent campers up to large group retreats. There are 6 A-frame plantation style cabins equipped with storage loft, outlets, cots, fans, and screened windows. If you’re the kind of camper that likes it a little less rough, there’s wireless Internet available, washer and dryer, picnic tables, a fully equipped kitchen, outdoor shower, and BBQ grill among other amenities. You can also leave all your gear at home and rent when you arrive. 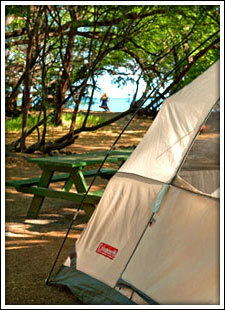 On a personal note, we’ve camped at most locations in Maui. 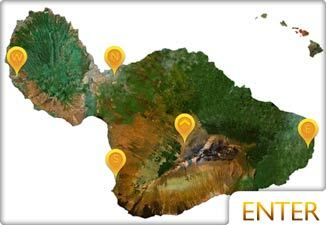 We have never camped at this particular campsite, so we can not give it any recommendations. If you have a good or bad experience here, please let us know. All photos courtesy of Camp Olowalu.